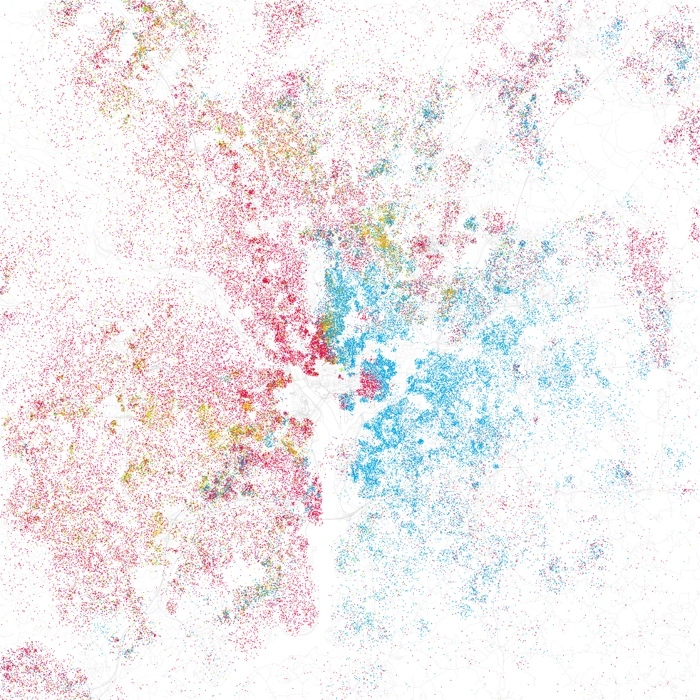 Infographic of the Day: How Segregated is Your City? 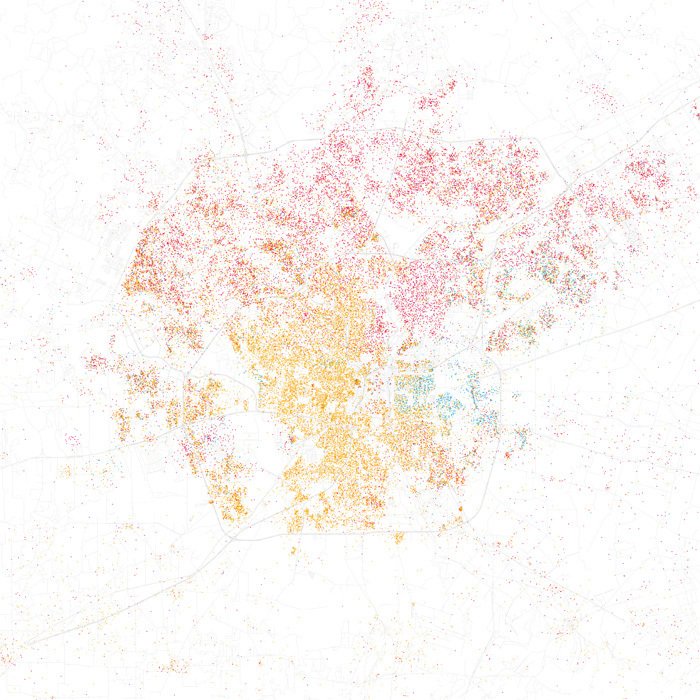 Every city is integrated (and segregated) in unique ways. Recently, cartographer Bill Rankin produced an astounding map of Chicago, which managed to show the city’s areas of racial integration. similar ones for the top 40 cities in the United States. Fisher used a straight forward method borrowed from Rankin: Using U.S. Census data from 2000, he created a map where one dot equals 25 people. 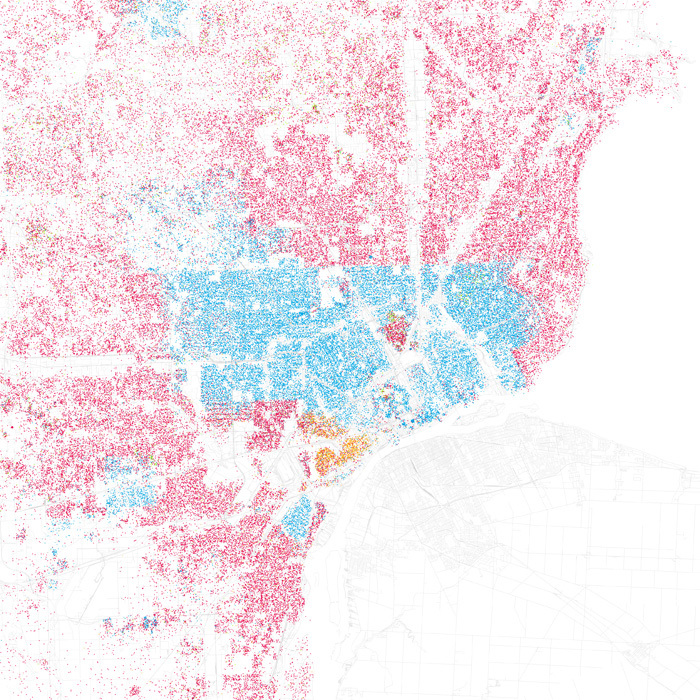 The dots are then color-coded based on race: White is pink; Black is blue; Hispanic is orange, and Asian is green. The results for various cities are fascinating: Just like every city is different, every city is integrated (or segregated) in different ways. continue to be mapped. 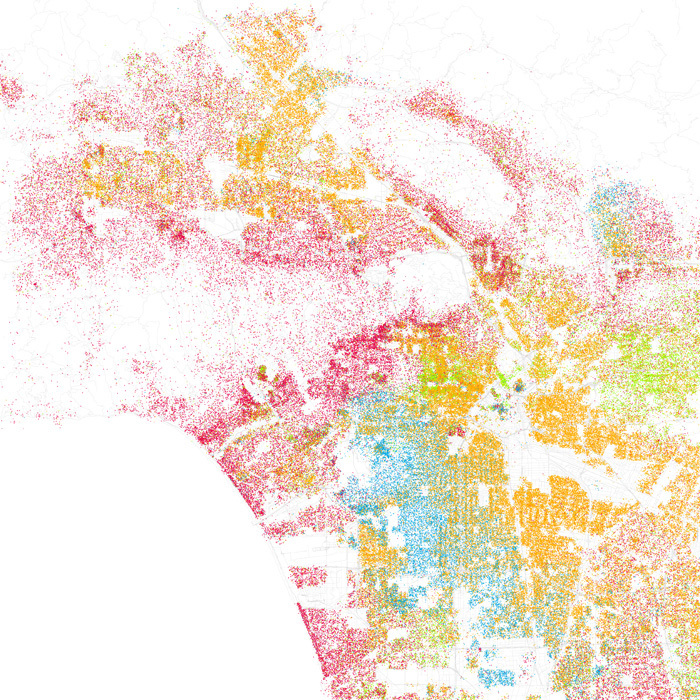 Usually, ethnic neighborhoods are shown as homogeneous, sharply bounded swathes of color. But obviously, living in a city tells a much different story — and the nature of the boundary areas are at least as important to the identity of any city.